Lisa Janice (LJ) Cohen shares her advice on writing speculative fiction, how to approach craft, and what joining memberships like SFWA means. LJ Cohen is a poet, novelist, blogger, local food enthusiast, Doctor Who fan, and relentless optimist. Lisa lives just outside of Boston with her family, two dogs (only one of which actually ever listens to her) and the occasional international student. When not doing battle with a stubborn Jack Russell Terrier mix, Lisa can be found writing, which looks a lot like daydreaming. She writes SF, Fantasy, and YA novels under the name LJ Cohen. Check out here books on Amazon, here. 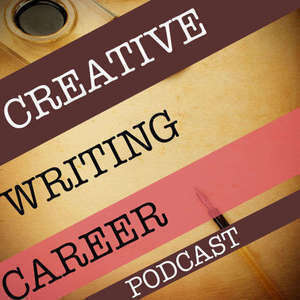 And you can get a free copy of any of her audiobooks at AudibleTrial.com/CreativeWritingCareer.